This year’s Christmas quiz, as for previous years, is to match names to photos. 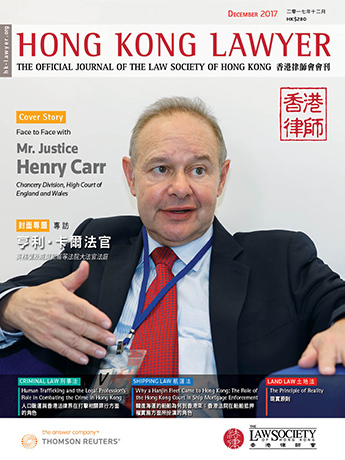 This year we feature famous female judges and jurists from Hong Kong and abroad. Note: Some of the above photos are licensed under Creative Commons Licenses. Attribution will be published with the answers in the next issue. To be eligible to win a bottle of Ch. La Croizille 2007 from Global Vintage Wines Centre, please send your quiz question answers to NavinGopaldas.Ahuja@thomsonreuters.com. The first reader to respond with the most correct answers, with no more than 3 incorrect responses, will be deemed the winner. The decision of Thomson Reuters regarding the winner is final and conclusive. B. Under the Convention of Peking, the border between Kowloon and the New Territories is at Boundary Road. A. The border between North and South Korea was originally set at the 38th parallel. Following the Korean War, it runs generally along that parallel. A. Yes, there was a land border between Japan and Russia on Sakhalin Island from 1895 to 1945 and a land border between Korea (a Japanese colony) and Russia between 1910 and 1945. D. The Shenzhen (or Sham Chun) River is the principal land border between Hong Kong and the Mainland of China. C. Kalingrad, an exclave of Russia, borders onto Poland. A. Point Roberts is an exclave of the United States immediately south of Vancouver, BC. C. Armenia does not share a border with Russia. B. The Shanghai International Settlement was formally a concession. A. Vatican City is a sovereign state that is located in the centre of Rome, Italy. C. Britain has two sovereign base areas in Cyprus: Akrotiri and Dhekelia. We would like to congratulate Johnny C. M. So, Barrister-at-law, Equity Chambers, the winner of our Legal Quiz #43.